Keep your little bundle protected from the weather in this adorable, insulated bunting. 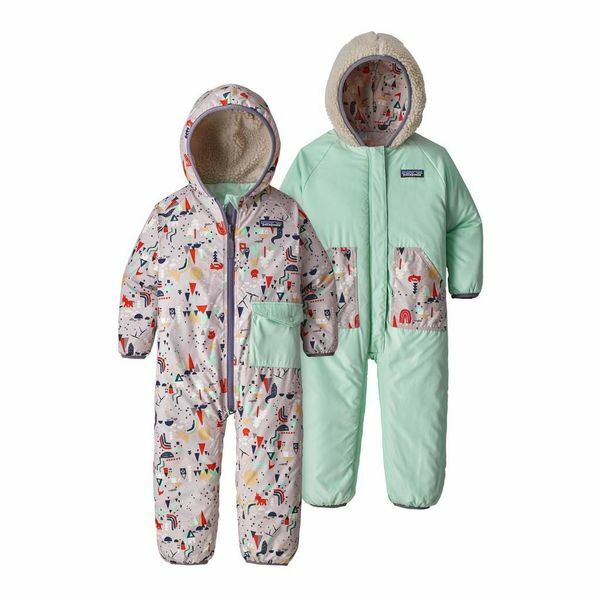 A fleece-lined hood and convertible mitts make sure head, hands and feet are toasty! The fun pattern reverses to a solid for twice the style options. Shell: 2.2-oz 100% recycled polyester taffeta. Insulation: 60-g THERMOLITE® Stretch 100% polyester (40% recycled). Hood lining: 8.7-oz 100% polyester (70% recycled) ¼"-pile fleece.